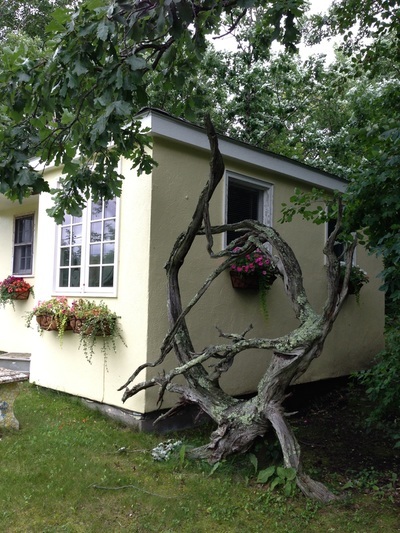 Writers, artists, and romantics love this cottage. 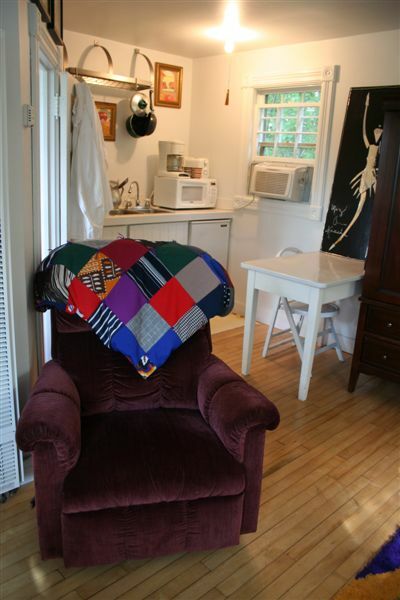 This adorable cottage is also known as "Artist Studio". Perfect for one or two persons. A "little" cottage -this light, cheery space serves as a quiet retreat or romantic getaway. 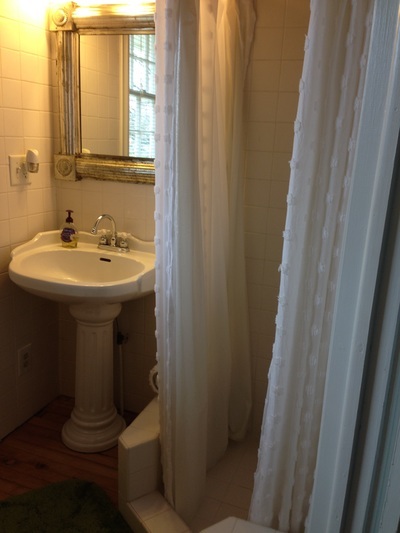 This one room charmer has full-size bed, lazy boy, kitchen table, armorer and bath with shower. The kitchen has a small stove top with two burners and small refrigerator. Outdoors there is a grill, bench, table and chairs. A cozy miniature bath with shower! AND...a heat lamp...wow, getting fancy!! 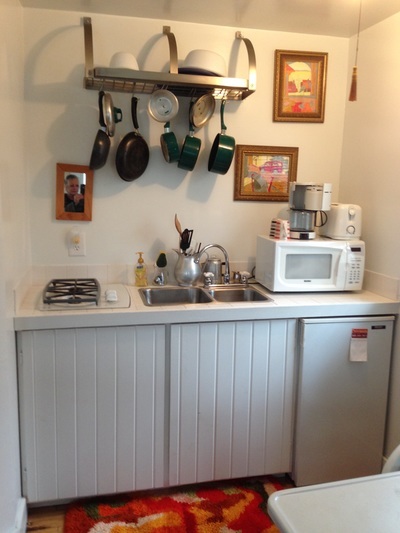 Now this is a miniature but verrrry cute kitchen. Life kept simple so you have more time to explore. Oh, no, that's me in the mirror! Just noticed. I don't think I had my lipstick on!! Armoire, small dining table, full-size bed. 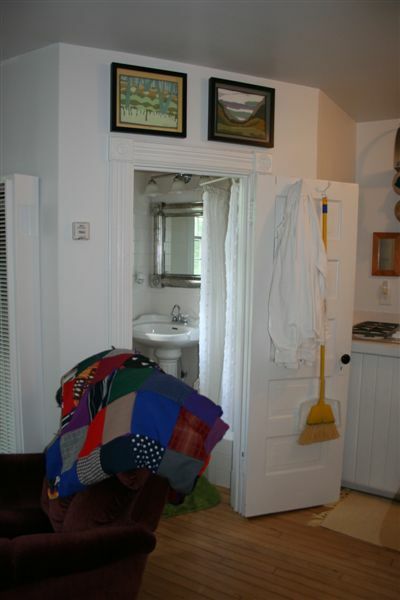 Of course, a lazy boy with a colorful quilt and an interesting story. Ask me about it!! I don't dare put it in writing!! Room with a view. I made a window valance out of glass hummingbird feeders - now that's different! But colorful and sort of artsy. Those shirts on the door? If you are an artist and need a paint shirt, there you go! Also, I can supply an easel. 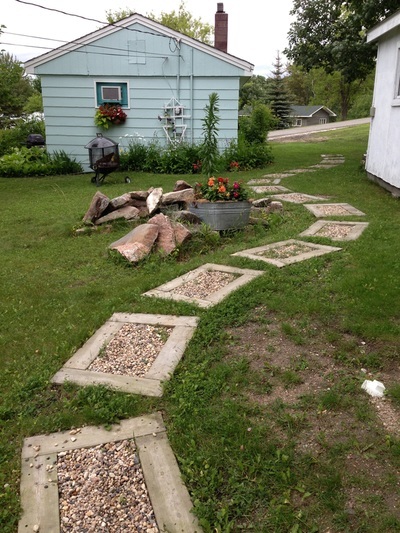 The pathway is made from left over ends of 2x 6's filled with rocks. The wood was donated so it didn't cost much. Keep things simple! The path leads from the Studio to the parking area behind WoodsHill Cottage which is next door. 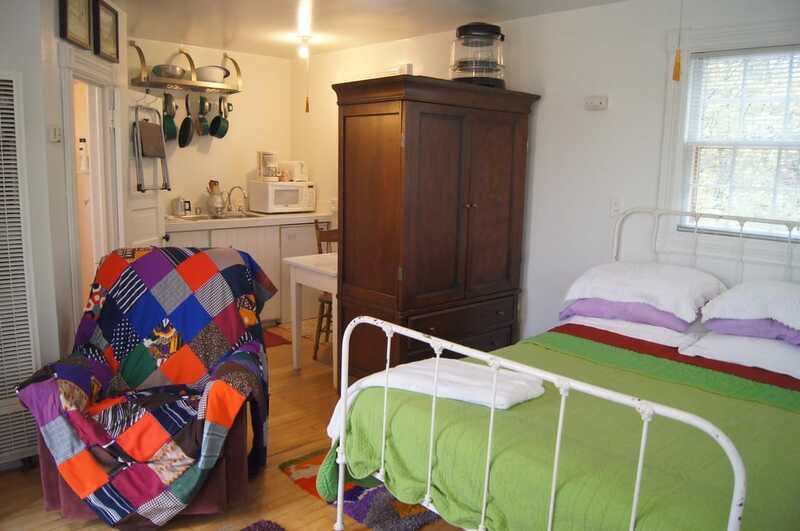 This unique little cottage is being rented for "eight days a week"! There is a reason for that but it is too complicated to write about here! 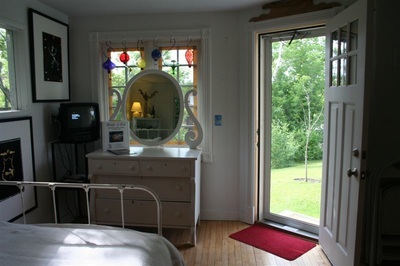 On the eighth day, take a leisurely time to leave the cottage. One more boat ride, one more hike, one more of whatever is your pleasure! Check out time is 12:01a.m. on the eighth day!